The 2018 elections are coming—and those of you who don’t spend your waking hours monitoring the secretary of state’s website may have some questions. Questions like: Wait, there’s an election next year? And, didn’t we just have an election? And, Is Jerry Brown running again? Yes, yes, and no, but you may hear a lot from the current governor between now and the elections. In fact, expect to hear more political chatter of all kinds as Californians gear up to select a governor, lieutenant governor, attorney general and other statewide constitutional officers; new Assembly members (all of them) and state senators (just half); members of Congress including a U.S. senator; and a yet-to-be-determined number of ballot propositions that may claim to remedy the housing crisis, fix healthcare policy and repeal the new gas tax, for starters. Our state’s gross domestic product may dwarf those of most countries. We may host some of the world’s fastest growing industries and the country’s wealthiest zip codes. But it remains, as ever, the economy, stupid. Just ask voters. In a fall poll from the Public Policy Institute of California, more respondents chose ‘jobs and the economy’ as the state’s most pressing issue. Lt. Gov. Gavin Newsom, who remains the frontrunner in the governor’s race despite some recent tightening in the polls, will be quick to take some credit for state’s low unemployment rate. It’s been bumping around 5 percent this year, the lowest level since 2007. He is also pushing for progressive palliatives like state-funded universal health insurance, a pre-school-for-all program (as are all Democratic hopefuls) and an expanded earned income tax credit, which provides a boost to the wages of low-earners. But you can’t take credit without inviting some blame. Democratic runner-up Antonio Villaraigosa, the former Los Angeles mayor, has framed his campaign around the tale-of-two-states theme. Villaraigosa has paired that anti-elitist rhetoric with a politically moderate anti-poverty plan, lambasting Newsom’s “pie in the sky” thinking on health care and calling for a revamping of California’s “Byzantine and bureaucratic regulatory framework” to help small business. That’s also proven to be a useful attack for the two Republicans gubernatorial candidates, Assemblyman Travis Allen of Huntington Beach and millionaire John Cox of San Diego. Why have the state’s inland and northern areas stagnated while the coastal cities have boomed? Why does uber-progressive California have the nation’s highest poverty rate once you account for the cost of housing? Tough questions for any incumbent. Didn’t the Legislature already fix this issue? Sadly, no. Despite California lawmakers’ best efforts to tweak regulations and channel more money into low-income housing construction with a series of bills last August, California is still projected to fall woefully short of affordable places to live. Newsom has said he would like the state to set a goal of building 3.5 million new homes by 2025—a proposal that walks the line between bold and delusional. More recently, John Chiang, current state treasurer and the gubernatorial candidate most likely to issue a white paper, released his own detailed plan: more funding for low-income housing subsidies and more carrots and sticks to entice or compel local governments to allow more residential development. Finally, there’s the $1.5 trillion question mark that is the recent rewrite of the federal tax code. 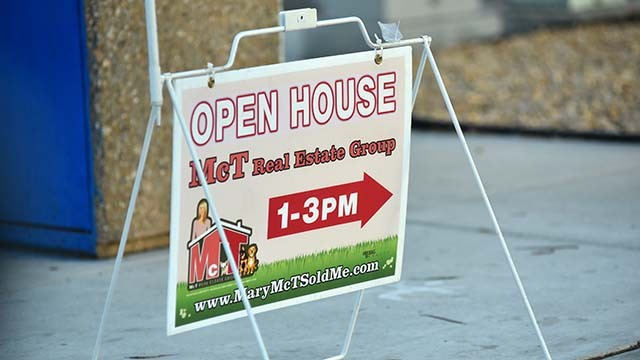 As California housing market adjusts to the newly slashed corporate tax rate and the reduced deductibility of property taxes and mortgage interest, expect to hear more. Proposition 13 has long been considered sacrosanct—but this election season the 40-year-old tax law may finally get an overhaul. 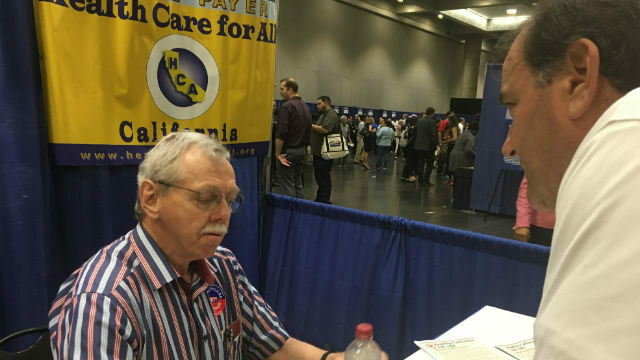 On one side, the California Association of Realtors is currently gathering signatures for a ballot initiative that would allow seniors and disabled Californias to preserve their lower tax rates even if they move. Under Prop. 13, homeowners pay property taxes equal to 1 percent of a home’s price at the time of purchase. Increases are limited to 2 percent each year, no matter how fast a home’s value increases. The proposed initiative would eliminate the penalty most longtime homeowners now pay when they move, which the Realtors say would encourage aging empty nesters to clear out of their large homes and make room for younger families. But it would come at a cost. The Legislature’s nonpartisan fiscal scorekeeper has said the proposal would eventually cost local governments upwards of a billion dollars each year. On the flipside, another proposed initiative would weaken Prop. 13 by exempting commercial property owners. Already some of the gubernatorial candidates are on board. Democrat contender Delaine Eastin, former state schools superintendent, has said that the extra revenue generated by taxing commercial property owners more could fund school improvements. Villaraigosa has also said he would be willing to reexamine Prop 13. That’s a concern that all gubernatorial candidates have nodded at, though details on how to actually boost the budget’s immune system have been scant. With President Trump’s approval numbers in the low thirties among likely voters and the majority of California voters unable to name the GOP’s two leading gubernatorial candidates (again, that would be Allen and Cox), California Republicans don’t have much to feel optimistic about, statewide. But they do have the gas tax. 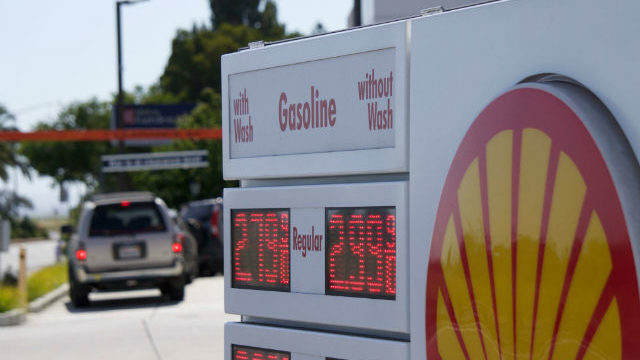 Early this year, Democratic supermajorities in the state Senate and Assembly narrowly passed a transportation funding package that included a 12-cent hike to the gas tax and additional vehicle fees. Taxing drivers isn’t considered best practice for winning future elections in California. It’s a testament to the Democrats’ political confidence—and the sorry state of the California road system—that they were willing to push this through. Now, the Republicans are itching for political payback. Allen has sponsored one of two proposed ballot measures that would rescind the fee hike. San Diego anti-tax Republican Carl DeMaio is funding a recall effort against freshman state Senator Josh Newman, a Democrat from Fullerton, allegedly for supporting the tax. Party leaders are hoping that their rallying cry of “GasTaxtrophe” will stick. They may be onto something. In a recent survey, nearly 3 in 4 likely voters said that repealing the gas tax is important to them. But whether that’s enough to energize the Republican base and flip undecided voters red is an open question. If the smoldering moonscapes of Ojai and Napa don’t spark some talk of climate and environmental policy on the campaign trail this year, a round of upcoming green-themed legislation offers a conversation-starter. Last year, Democratic Senator leader Kevin de León of Los Angeles introduced a bill mandating that 100 percent of California’s electricity come from renewable sources by 2045. That will be back this year. Likewise, Democratic Assemblymember Phil Ting of San Francisco will introduce a bill to ban new gas-powered cars by 2040. Gov. Brown has positioned himself as a global leader on climate change—hence his recent trip to Europe. None of the Democrats seeking to replace him are climate skeptics. But they do depart from him in substance and style. Take Villaraigosa, who says the environmental movement needs to be less narrowly focused on greenhouse gas emissions and should better address local pollution and its impact on low-income communities of color. Or Eastin, who frequently notes that she is the only candidate calling for a ban on fracking. And while all of the Democratic candidates are broadly supportive of Brown’s high speed rail project, all have expressed varying degrees of opposition to the governor’s twin tunnels water plan: Villaraigosa says cities need to conserve more, Chiang has raised concerns about the Delta ecosystem, Eastin calls the project “nonsense,” and Newsom has wondered whether one tunnel wouldn’t do just as well. And then there are those fires. As the Central Coast and North Bay rush to house the newly homeless and grapple with the bigger question of if, how, and where to re-build in a state that seems increasingly prone to going up in flames, expect to see some of that grappling on the campaign trail. Almost half of the state’s discretionary funding goes to education. The campaign for Superintendent of Public Instruction—perhaps the most hotly, and expensively, contested race you’ve never heard of—is likely to resemble the 2014 campaign, when current superintendent Tom Torlakson was challenged by Marshall Tuck, a charter school administrator. The contest between the union-backed incumbent and the charter-supporting challenger took on symbolic importance. Torlakson ultimately won, but by a hair. This time around, Tuck will be squaring off against Assemblyman Tony Thurmond of Richmond, who, like Torlakson, will have the support of the California Teachers Association—but not the benefit of being an incumbent. That ideological battle has already spilled over into the governor’s race, where the CTA has endorsed Newsom, and Villaraigosa has come out as the lone Democrat to back changes to teacher tenure laws and charter schools. Still, there isn’t much light between the four Democrats on other education issues. They all oppose for-profit charters, and, broadly speaking, support Gov. Brown’s local control formula for funding schools. They all advocate publicly funded universal preschool, something Brown has rejected. Some have also mentioned supporting infant and child care programs, but so far, the candidates have been light on specifics. In the first two Democratic gubernatorial debates, no issue dominated quite like single payer healthcare—if only because it was one of the few questions on which there was discernible friction. The candidates split into two camps, with Newsom and Delaine unreservedly calling for a state-funded insurance program that would cover all Californians, and Villaraigosa and Chiang calling single payer a nice idea but wondering where the money would come from. It’s a debate likely to echo in blue tinged districts across the state. In June, the state senate passed a bill that would have offered comprehensive health insurance to all, but lacked a funding source. Assembly Speaker Anthony Rendon put the plan on hold, which many progressives, led by the California Nurses Association, characterized as a knife in the back. 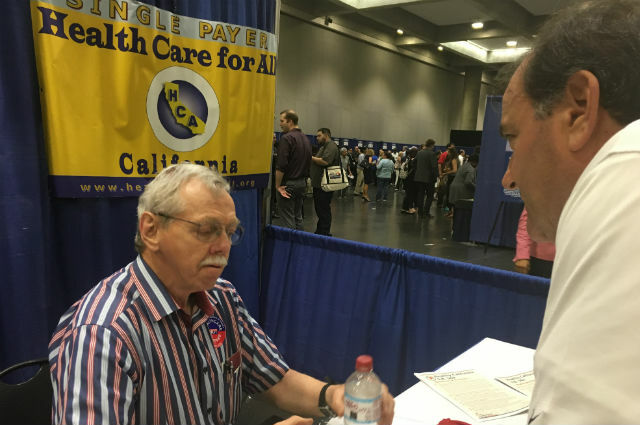 In some legislative districts, single payer is likely to be a progressive litmus test —and yet another opportunity to relitigate the California Democratic Party’s ferocious leadership battle last May, and before that, the 2016 primary. But as the White House and Republicans in Congress continue to tinker with the Affordable Care Act next year, lawmakers and candidates may have more immediate concerns. California Republicans have never shied away from making the state’s rising debt to its retired employees a central political issue. “This is the Sword of Damocles hanging over the California economy,” gubernatorial candidate John Cox recently told a crowd in San Francisco. In keeping with Gov. Brown, who had taken modest steps to roll back pension obligations, some of the Democratic candidates have at least alluded the issue. As treasurer, Chiang helped spearhead an effort to paydown some of the state’s pension obligations by diverting money from a separate state account. But for progressive politicians, who count on the support of public sector unions and who aren’t ideologically inclined to cut benefits to retirees anyway, it’s a tough circle to square. This year, the California Supreme Court is likely to take up a challenge to the so-called “California Rule,” the legal standard which holds that the benefits promised to retired government workers are binding contracts that cannot be retroactively reduced. If the state’s highest court breaks from that half-century-old precedent, it could trigger a wave of pension reductions across the state—and plenty of debate on the campaign trail. California voters are not always predictable when it comes to crime. In 2014, the majority of voters approved Proposition 47, which reclassified many nonviolent property and drug crimes as misdemeanors and released thousands of inmates from state prisons. But two years later, voters took a tough-on-crime approach, making it easier to execute death-row inmates while rejecting a proposition that would have abolished the death penalty. This year’s major justice battle is likely to center around bail. In October, a working group put together by California Chief Justice Tani Cantil-Sakauye recommended that California’s cash bail system be replaced by one in which defendants would be released from custody before trial based not on their ability to pay, but on the assessed danger that they pose to public safety. Democrats in the Legislature have pledged to take up the measure, and they have the backing of the governor. It’s an issue that’s also attracted a degree of celebrity and quasi-celebrity attention, with the rapper Common advocating for reform and reality TV star, Duane Chapman (aka “Dog the Bounty Hunter”) taking the opposite position. Republicans welcome that debate. After years of decline, California recently saw an uptick in the violent crime rate—something the GOP has taken to blame on reform proposals like Prop. 47 and earlier Brown-backed inmate population reduction efforts on. Thus far, researchers haven’t found that connection. Since then, two state lawmakers stepped down in the wake of accusations of sexual harassment or abuse, which they nonetheless contested. In purely political terms, the two vacancies have, for now, cost the Democrats their supermajority in the Assembly and forced two special elections this summer. But the allegations have also put the Democratic leadership in Sacramento in the spotlight. Last week, Sen. Pat Bates of Laguna Niguel, the Republican leader in the Senate, called on Speaker Rendon and Sen. de León to rescind any non-disclosure agreements that victims of sexual harassment or whistleblowers have signed with either chamber. Sen. Connie Leyva, a Democrat from Chino, has also promised to introduce legislation to ban confidential settlement agreements in cases of alleged sexual assault and harassment. So far, de León has responded by hiring two law firms to investigate allegations against senators and to set up a confidential hotline for victims to report harassment and abuse. It’s also a potentially uncomfortable moment for some of the candidates running for governor. When he was mayor of San Francisco, Newsom admitted to having an affair with his appointments secretary, the wife of his campaign manager. Villaraigosa also had a high profile extramarital affair, though not with a subordinate or colleague. There were no allegations of illegal activity in either case, but it’s not a fortuitous time to be a male politician with a history sexual misconduct of any kind. The other candidates have been more vocal on the subject. Chiang, true to form, released a 12-point proposal on how to prevent and address sexual harassment, which includes disclosing data about reported sexual harassment around Sacramento, setting up a confidential hotline, and beefing up training. Well, that’s a whole lot of it anyway. California is a big, complicated state and listicles can only be so long. Plus, a lot can change in 11 months—or, depending on the President’s late night Twitter habits, 11 hours. So consider this a rough guide to the electioneering season to come, one that will help you sort the substantive debate from the fun, but forgettable, mudslinging. And hey, at the very least, now you know Jerry isn’t running again.